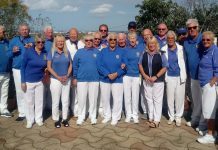 Monday found the Pintos travelling to Country Bowls to play the Flamingos on a glorious if very windy day, which proved to be a little tricky. But we had a good morning’s bowls and came away with 3 rinks and the overall shots by a margin of one. Meanwhile the Broncos had a very good day at the office, playing at home against Emerald Isle Saturn. Battling against the strong wind and a good team they took the rinks 5-1 and the overall shots by a good margin, well done all. Edward Elsam, Ann C Taylor and Bob Taylor 20-9. Ria Dukker, Tricia Elsam and Richard Needham 11-15. Gill Bartlett, Bob Easthope and Rob Clark 27-10. Fred Dunstone, Gary Dunstone and Gary Newson 15-13. Ngaio Baldwin, Peter Baldwin and Graham Day 21-12. Marion Haynes, Diane Yates and Dave Haynes 21-1. On Friday the Raiders were at San Luis playing the Pumas, who are always a tough opponent, but it’s only the company that matters. Alas the Raiders came away without a point, but that’s not important, as long as you enjoy the outing. Meanwhile the Mustangs were playing the Blues at La Siesta and put up a good valiant fight to take 3 rinks, but lost the overall shots, a good result to finish the league. Here it is the last week of the Enterprise and Discovery Leagues. The Explorers played at home against San Miguel and after a close game we lost by two points. Well done Jim Manning, Mike Stone and Barbara Forshaw, same to Peter Parsons, Phil Pape and Carol Smith and same with Alex Whyte, Shirley Hadaway and Janet Parsons. Thank you to all players who helped the Explorers this season. The Pathfinders didn’t do so well in their last game losing away 13-1 to Emerald Isle Neptunes who finished third. Well done Terry Perchard, Peter Bailey and Paul Tregoing and well done to all the players who kept the Pathfinders in the Discovery Division. Winter League is still going along and we went over to San Luis only to find they were in fine form and we lost 10-2. We managed one win and that was Dave and his girls all back together again. So good on yer Dave Hadaway, Jean Perchard, Barbara Forshaw and Janet Parsons. Last games this season for all three of our Friday teams so the Sharks went to play the Monte Mar Matadors but unfortunately they were the better side on the day and we lost 10-4. Our winners were Peter Parsons, Tom Spencer and Andy Bartlett also Dave Lewis, Jim Manning and Margaret McLaughlin. Oh dear the Seagulls flew away to play Country Bowls Geckos and were blown away 12-2. Our one valiant winner was Sue Daniels, Mike Stone and Mo Taylor. 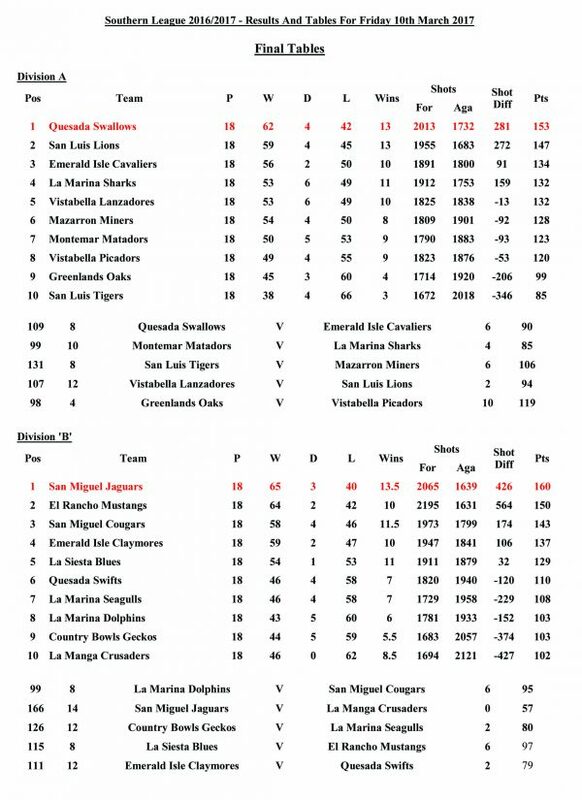 Last but certainly not least the Dolphins beat San Miguel Cougars 8-4 and with that result only just fell below the Seagulls in the league. So good bowling by John Rae, Dave McGaw and George Furzer also Barry Sadler, Garth Slater and Margaret Sadler. Well done to John Withers, Jeff Halfhide and Shirley Withers. The other two points came from the overall score.Thanks to all who played in the Friday leagues. Hope you kept your Captains happy. Many thanks to Arthur and Keith for their hard work during the season. The Apollos went into their final league fixture away at San Luis Romulans with the runners-up spot in their sights. A tight match saw the Apollos gaining a 7-7 draw winning the overall shots by 110-97. 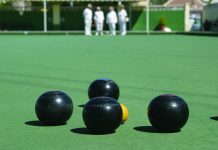 The winning rinks were Dawn Taylor with Mike and Florence Edwards by a convincing 26-13 whilst Dave Davies, Norman Adcroft and George Richardson recorded a 20-12 victory. It was left to Beryl Styring. Jack Cooper and Alex Morrice to pick up the final point with a drawn match 17-17.The wait was then on to see how other matches had turned out. The good news was that runners-up spot was achieved by the narrowest of margins, equal points but a better shots average. Well done as this should mean promotion next season. 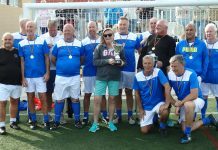 The Pioneers entertained the Vistabella Eagles and achieved a 12-2 win which enabled us to overtake them in the final League Table to finish in a respectable fourth place. The winning rinks for La Siesta were Ken Stringfellow, Ron Sheldon and Johnnie Ryder 27-11,Joe Kocsis, Tony Campbell and Tony Dalton 20-12,Penny Porter, Jean Hepehi and John Clarke 20-13,Jean James, Val Dalton and Sid Gallup 22-19 and Hilary Clarke, Molly Russell and Rab Logan 19-16. The overall shots being 123-98. In the Fed 4’s the Parakeets had Montemar Picadors as visitors. La Siesta won on all rinks, thereby picking up the full 8 points, the total shots being 61–36.The winning rinks were Irene Mangan, Alex Morrice with Trish and Pat Reilly who won 23-8,Joy and Brian Gardiner with Tony Campbell and Jean Cooper 19-10 and Irene and Dave Laverick with Pat and Brian Harman who won 19-18.The Hoopoes visited Emerald Isle Shamrocks in a close match separated by only 3 shots the Hoopoes came out with a 52-49 win getting 6 points to their opponents 2.The winning rinks for the Hoopoes came from Ann Edgerton, Tony Dalton, Bill Jordan and John Ball 18-16 and Barbara Cooper, Jean Hepehi, Vic Mahomet and Sue Jordan19-17 whilst Val Dalton, Rod Edgerton and Florence and Mike Edwards lost by a single shot. Good performance by the Toreadors in their last match of the season against the Titans who had already won the league. With both teams winning on three rinks and losing on three rinks but the Toreadors lost on overall shots. Points Toreadors 6 – 8 Titans. Monte Mar Matadors v Vistabella Albatrosses. Winning on four rinks and drawing on one well done to Sue Kemp, June Young, skip Brian Zelin 25 – 9. Ethal Finan, Val Hignett and skip Tony Finan 23 – 17. Geraldine Fisher, Ken White and skip Gordon Fisher 19 – 15. 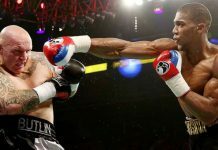 Keith Simpson, Joe Ridley and skip Dianne Ridley 23 – 17. Ronnie Cairns, Dave Melvillle skip Bill Young 16 – 16 (after being 15 nil down after seven ends). Shots Matadors 114 – 98 Albatrosses. Points Matadors 11 – 3 Albatrosses. Winter League Monte Mar v Greenlands. Winning on three rinks and the overall shots. Well done to all the winning teams. Shots Monte Mar 93 – 90 Greenlands. Points Monte Mar 8 – 4 Greenlands. Monte Mar Matadors v La Marina Sharks. Winning on four rinks well done to Pauline Merry, David Eades skip Chris Merry. Keith Simpson, Joe Ridley skip Dianne Ridley. Ronnie Cairns, Val Hignett skip Roy Mercer. Ethal Finan, Bill Young skip Tony Finan. Shots matadors 99 – 85 Sharks. Points Matadors 10 – 4 Sharks. 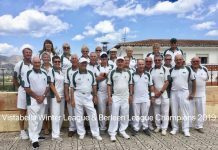 SAN LUIS BOWLS CLUB REPORT 10.03.17. 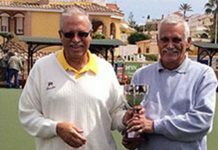 A mixed end to some of the winter leagues: South Alicante Winter Triples: Enterprise Div. Monday 6th SL Klingons away v GL Maples, close fought, 8pts-6, 111 shots-94. Winners: Shirley Verity, Jo & Julian Pering 28-09, Janet McEneany, Steve Simmons, Peter McEneany 19-14, Carol Lowry, Keith Phillips, Keith Lowry 18-11. SL Trekkers, away v VB Drivers, close shots; 96-109, 3pts-11. Winners: Irene Everett, Dave Tilley, Vic Slater 16-16, Audrey Ford, Mike Smith, Charlie Marigold 16-14. Discovery Div. SL Romulans, home v LS Apollos; another close match 7-7, shots 97-110. Winners: Margaret Stephens, Terry Baylis, Ken Dullaway 20-16, Dennis Jackson, Derek Smith, Ray Watmough 20-17, Chris Jackson, Danny McErlean, Phil Hasler 17-17, Audrey Blay, Marie Henley, Cas Blay 15-14. 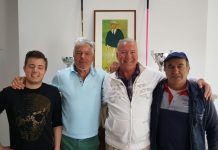 Winter League: Wednesday 8th March home v La Marina, good result; points 10-2, shots 113-66. Winners: Ann Holland, Keith Phillips, Sabrina Marks Mal Hughes 34-11, Pam Lockett, Jo Pering, June & Keith Jones 22-17, Irene Everett, Vic Slater, Neil Morrison, Peter McEneany 26-8, Shirley Verity, Ray Clarke, Jules Pering, Russell Marks 17-11. Berleen team: Margaret Morrison, Les Bedford, Charlie Marigold, Barry Edwards, a good win 29-6. FED 4’s League Thursday 9th Div A SL Ospreys, home v Q Panthers, tough game; shots 37-58, pts2-6. 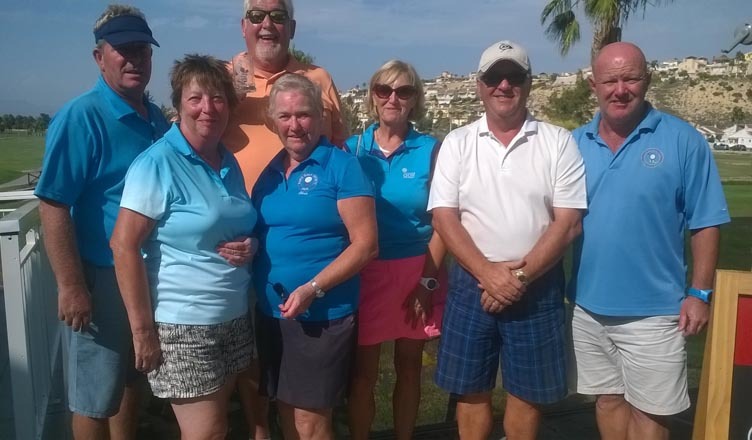 Winners: Shirley Verity, Sheila Cammack, Peter McEneany, Russell Marks 14-13. Div B SL Condors; home v Q Leopards good result, 6-2, shots 53-43. Winners: Jan Pocock, Ray Clarke, Brian Pocock, Colin Potter 21-15, Alan Mawer, Margaret Morrison, Charlie Marigold, Neil Morrison 17-12. Tuesday 7th Div C SL Bazas, good result away v Horadada, 6-2, 46 shots-37. Winners: Dennis Jackson, Bob Bromley, David Blackie, Scott Malden 15-11, Pat Malden, Pat Bird, Graham Bird, John Malden 17-10. Friday 10th LLB Southern League, SL Lions away v VB Lanzadores; hard fought points 2-10, shots 94-107. Winners: Ray Clarke, June & Keith Jones 24-5. SL Tigers, a good result home v Mazarron Miners; 8pts-6, shots 131-106. Winners: Sue Ross, Mike Smith, Drew Russell 26-14, Margaret & Neil Morrison, Derrick Cooper 28-11, Doug Beattie, Alan Mawer, Colin Potter 26-16. 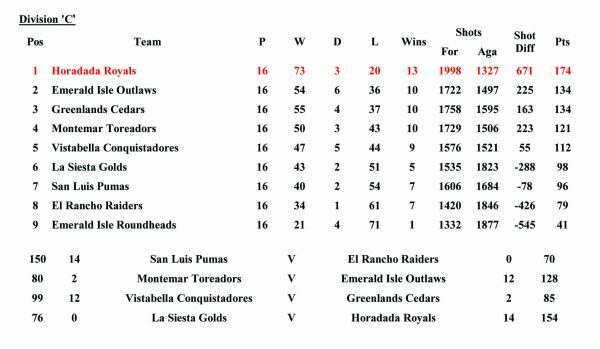 SL Pumas, a great result home v ER Raiders, 14pts-0, 150 shots-70. Winners: Chris Phillips, Derek Smith, Kevin Hull 32-9, Dennis Jackson, Bob Bromley, Harry Epsom 19-9, Pat Baylis, Danny McErlean, Phil Hasler 20-10, Mary Fromson, Marie Henley, Robin Harker 24-17, Chris Jackson, Tom Fromson, Margaret Clarke 24-12, Margaret Stephens, Terry Baylis, Ken Dullaway 31-13. 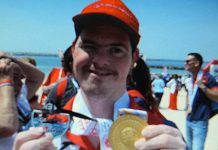 Last weekend saw some brilliant games in the Club Championships. Very well done to all who reached the finals and congratulations to the winners. Ladies Singles, Anita Brown; Gents Singles, Fred Willshire; Ladies Nominated Pairs, Gail Willshire & Lyn Greenland; Gents Nominated Pairs, Tom Dalgleish & John Marshall; Mixed Pairs, Anita Brown & Ron Nairey; Mixed Triples, Reg Cooper, Brian & Lyn Miller; Mixed Rinks, Margaret Patterson, Linda Plaisted, Allan Patterson, Cliff Plaisted. The Pulsars were away at Quesada winning on 2 rinks. Well done to Alan Booth, Tom Dalgleish, Derek Farmer 26-13; Irene Ward, Janet Thomas, John Staden 23-22. Points for 4 against 10. Shots 95 to SM 135 to Quesada. Meteors had a better result away at La Marina winning 8 points to 6. Margaret Rogers, Brian Allen, Ian Rogers 19-10; Val & Chris Collier, Stuart Denholm 27-13; Linda Plaisted, Tony Sansom, Cliff Plaisted 21-11. Shots 109 for, against 92. The Comets had a fantastic result against Greenland Sycamores winning 12-2. Stan North, Jim Jarvie, Jack Jackson 26-14; Sheila Booth, Bob Graham, Brian Errington 38-7; Bob Nesbitt, Dave Champion, Barbara Scotthern 30-7; Ros Stockell, Peter Ross, Bob Donnelly 26-7; Joyce & Bill Reeves, Frank Scotthern 15-14. 152 shots to SM 76 to GL. The Winter League picked up 4 points against Javea Green with shots 76 for, 97 against. Cliff Plaisted, Val & Chris Collier, Stuart Denholm 19-17; Noel Davis, Gail Willshire, Mary Dyer, Fred Willshire 19-17. In the Fed Fours, the Cherokees played Vistabella Vikings only managing to get 2 points. Well done to Noel Davis, Reg Cooper, Chris Collier, Lyn Greenland18-14. Shots for 18, against 14. 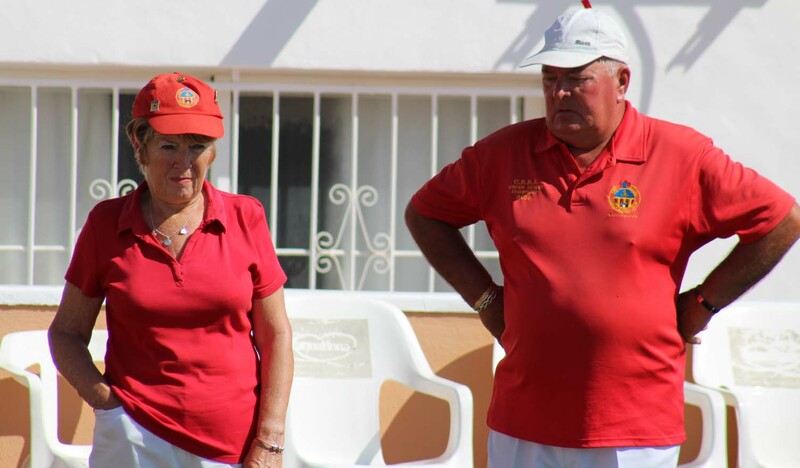 For further information on San Miguel Bowls Club, please contact The Secretary Pat McEwan telephone 966714257. We’ll start with a good result, Wednesday’s winter League. An incredible result at Benitachell ended their two year run of undefeated home games, well done Vistabella! L Bishop, P Tomkins, B Dunn & I Kenyon 22-10. J Chaplin, M Foulcer, B Norris & E Bishop 18-11. S Burrows, C Watkins, C Thorpe & B Pain 14-13. O Ratcliffe, B Brown, M Regan & G Thorpe 17-17. VB 80 (9) – 72 (3) BBC. The Berleen team also had a big win, B Regan, S Kirk, S & D Jenkins 28-12. Enterprise league Albatrosses, the ultimate game, shame it didn’t end in style, at home v MonteMar Matadors they only picked up three points, at least they kept off the bottom of the league table. K Hardy, S Burrows & A Brown 24-8. T French, C Watkins & B Pain 16-16. VB 98 (3) – 114 (11) MM. The Drivers did so much better at home v San Luis Trekkers. F Barclay, L Barber & G Thorpe 23-15. S Whitehall, M Foulcer & P Rafferty 20-16. J Chaplin, S Norris & I Kenyon 17-15. D Leggatt, J Neve & B Corbishley 19-18. D Stevenson, A Leggatt & B Norris 16-16. VB 109 (11) – 96 (3) SL. Voyager league Eagles suffered at La Siesta playing the Pioneers, they took just one win, thanks to the team of S Cox, A Kendall & D Stevenson 27-15. VB 98 (2) – 123 (12) L S.
Fed 4’s Vikings away at San Miguel with a win over top of the league Cherokees, well done F Barclay, B Ewart, A Brown & M Furness 20-16. C Watkins, D Jenkins, E Bishop & G Thorpe 14-12. VB 50 (6) – 46 (2) SM. Southern league. What a fabulous way to end the season, all three squads had terrific wins, I haven’t enough space to mention you all but I can praise everyone of you. 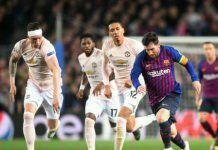 The Div 1 Lanzadores were at home playing the mighty Lions from San Luis. Five winning Rinks, commiserations to the only losing team that had the short straw against Mr Jones! VB 107 (12) – 94 (2) SL. Picadors away to Greenlands Oaks, wins on four rinks for a great result of VB 119 (10) – 98 (4) G.
Congratulations to Quesada for winning the league…you can pay us later! Div 3 Conquistadores were at home playing Greenlands Cedars and what a good result to finish on, five wins, that’s excellent. VB 99 (12) – 85 (2) G.
Good luck to all the club finalists in the forthcoming club championships over the next two weekends. AGM Tuesday 11.00 am, please be there.